The first Roadshow for Blastrac France. 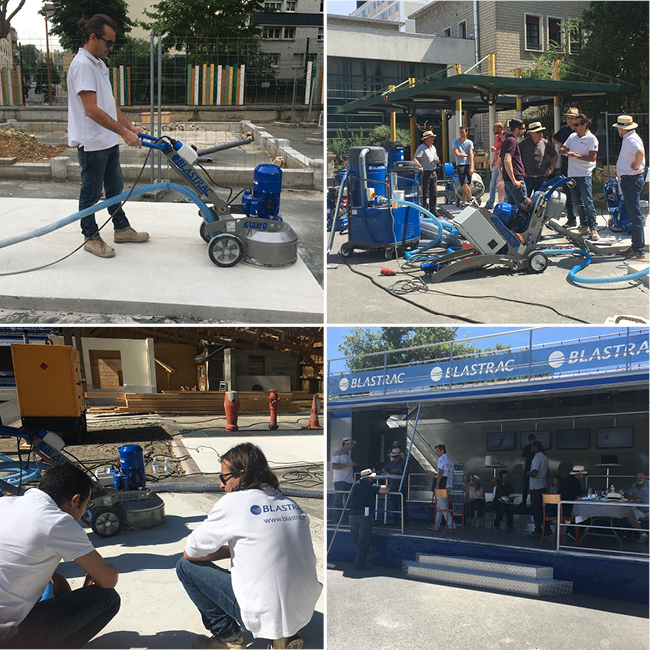 The first Roadshow for Blastrac France took place last week, from Monday the 12th until Friday the 16th June in Nantes, Paris and Arras. This event, organized for the first time in France, attracted broad interest, not only from customers and prospects, but also from host organizations! In Nantes, the Blastrac team was welcomed by the "Formation Compagnonnique du Tour de France", where numerous demonstrations were made and some tests were carried out by customers. In Paris, the Jean Monnet high school was able to observe som shot blasting and grinding machines in action whilst enjoying a giant barbeque. It was a great opportunity to mix work and entertainment with refreshments under the sun! Finally in Arras, the weather allowed the team to show Blastrac's machines capacity, under the watchful eyes of customers. To conclude, this event was brilliant and full of engaging encounters. Thanks to its great success, the Blastrac France Roadshow will continue and the Blastrac France team will be back on the road to meet you in different cities in the South! Be ready, because we will be!